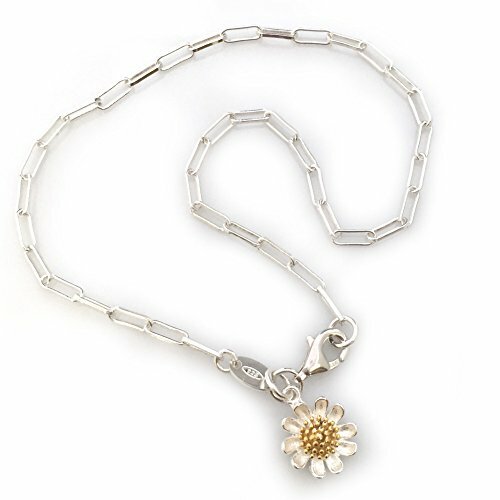 Sterling silver anklet with sunflower charm, simple yet elegant! Great for Summer! Length is 11 inches. It is also available for any size, contact with seller for custom size if not listed. Must have for Summer! This is a great gift idea,we offer pretty gift box with the anklet. Made in USA,Ship in 1 business day. If you have any questions about this product by Kate Avenue, contact us by completing and submitting the form below. If you are looking for a specif part number, please include it with your message.